New Zealand is known for its extraordinary scenery, pristine beaches and endless adventures. Before our trip to New Zealand we had no idea of what to expect from Auckland. We were pleasantly surprised by the vibrant restaurant scene, accessibility to beautiful islands and relaxed vibe of the city. Looking for quaint and quiet escape? Look no further than this lovely Airbnb. Marika’s apartment is located in her garden and is very charming. We loved staying here. 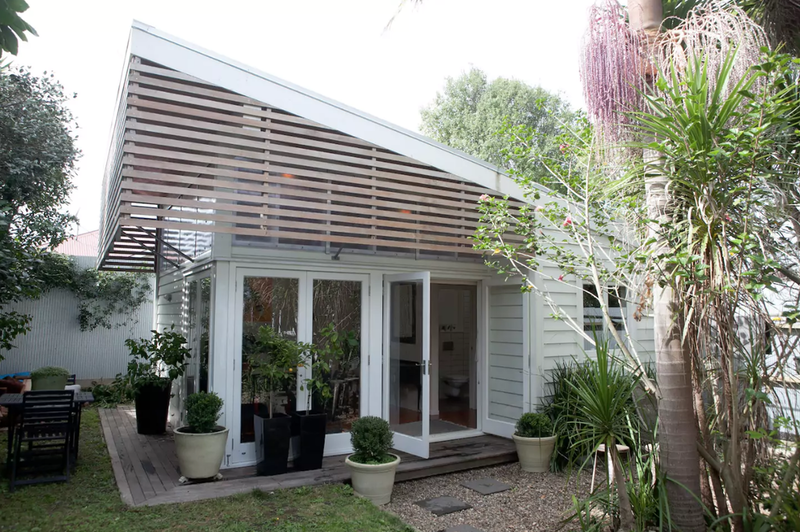 Conveniently located by the Harbor, The Sebel is a quick walk to many of the main attractions in Auckland. Its location also makes it perfect for catching a ferry to one the many accessible nearby islands. This is the loveliest breakfast spot. Kokako opens early so we stopped here right after our flight landed. They have excellent tea, coffee, and food. The atmosphere is relaxed and has a local vibe. Admittedly we have a slight obsession with donuts. If you are looking for fantastic food and amazing donuts stop at Foxtrot Parlour for brunch. We tried a couple egg dishes, donuts, and coffee, all of which was excellent. Foxtrot is located in Ponsonby Central which is well worth exploring after brunch! Looking for great coffee? Stop at Fred’s. We enjoyed stopping at this quaint café while exploring Ponsonby. They had amazing coffee and a fun atmosphere. In the mood for authentic, simple, and delicious dumplings? Look no further than Jolin Shanghai, also located in Mount Eden. Jolin Shanghai is the perfect hole-in-the-wall spot that won’t be mobbed with tourists, just locals. Be sure to try the soup dumplings and the sticky rice! Love all things Ramen? Us too! Auckland has a fantastic Asian food scene and Zool Zool is the place to get Ramen. Zool Zool is just a short walk away from the dormant volcano, Mount Eden. After the long trek to the top of Mount Eden stop here for a delicious bowl of ramen. If you’re seeking out New Zealand wine stop at Dida’s. Dida’s offers an extensive wine list, great appetizers, and a relaxed atmosphere. Pop in here for pre or post dinner drinks. We have a soft spot for a bar with live music. If you are looking for live music, great drinks, and a fun crowd check out Grand Central. Exploring Waiheke Island was one of our favorite things to do in Auckland. The island is a 30 minute ferry ride from the city, but it feels like an entirely different world! Boasting beautiful beaches, vineyards, and endless scenic views, we could have explored for days. We really enjoyed Cable Bay Vineyards as well as Te Motu wines, both of which are easily accessible by bus, electric scooter, or bike. For the most hassle free way to get around, buy a day bus pass and hop on and as you explore beaches, olive groves, and vineyards. Don’t forget to pack your swimsuit, as sunny days provide tons of beach options! Mount Eden is both an eclectic neighborhood & a dormant volcano within Auckland. Both are well worth exploring. Climb to the top of the dormant volcano to see amazing panoramic views of Auckland. It also makes for the perfect Instagram of Auckland’s skyline. After your hike check out the art galleries & restaurants in the surrounding area! If you’re looking for great coffee, endless restaurants, and cute shops you will love Ponsonby. We loved exploring the tree lined streets, seeing some amazing views of Auckland’s harbor, and popping into Ponsonby Central. Looking to shop? There are many great options. For women’s clothes we recommend TK Store. TK Store boasts a carefully curated collection of elegant and chic clothes. You’ll find something here that you can wear for years! For basics in great cuts & fabrics check out Commoners. If you want something a little different check out Karen Walker or Zambesi. Both are local designers & offer beautiful and unique statement pieces that can brighten up your wardrobe. Less than an hour away from Auckland’s city lay the rugged Waitakere ranges, a region of rugged hills, rainforests, and black sand beaches. Renting a car is the best way to explore this area at your own pace, but several tour companies offer day trips as well. Tiritiri Matangi Island is known for its wildlife. There are tons of birds, walking trails, and amazing views of the coast. Catch a ferry and spend a day exploring! It’s really easy to get around Auckland. The bus system is great & you can walk to many places. Uber is also available and is an affordable alternative to taxis.